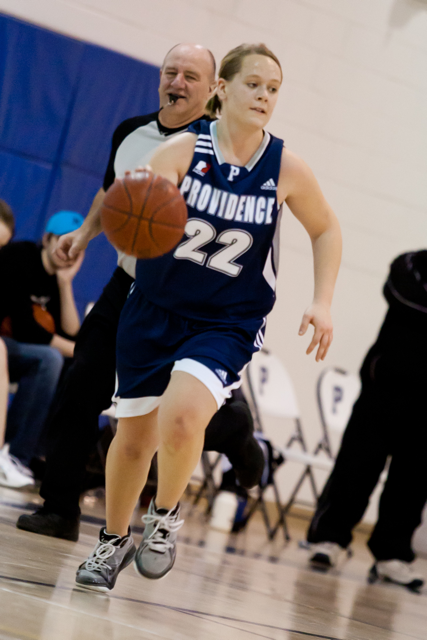 A freshman guard had a banner weekend for the Providence College Freemen as she helped her team to two wins over Assiniboine Community College. 20-year-old Kristina Larson posted career highs in points (18), rebounds (8), and assists (9) in her team’s 74-34 dominance of the Cougars Friday night. After Providence’s 70-46 win the following afternoon, Larson had averaged 14.5 points, 7 rebounds, 9 assists, and 2 steals over the weekend. “Kristi has definitely come into her role as a quiet but great young leader in her freshman year,” said Freemen head coach Patti Parker. 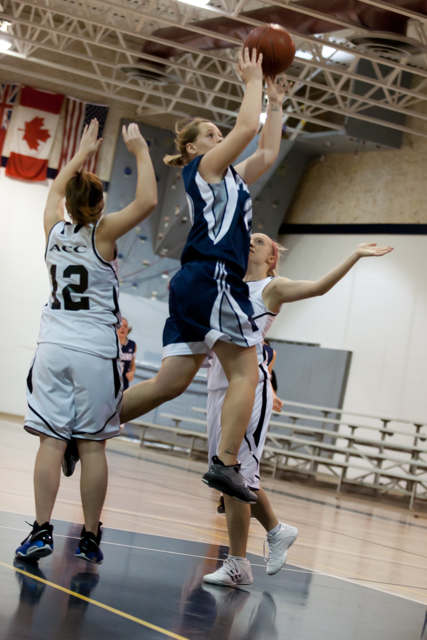 The Biblical Studies student from Gardner, North Dakota, played her high school ball at Northern Cass School in the nearby town of Hunter. Northern Cass is located roughly 45 minutes north of Fargo. For a first-year player, Larson is showing the qualities of a veteran college player. Larson and the Freemen are gearing up for a playoff run in front of a home crowd, as Providence College will host the 2011 MCAC Final 4 Basketball Championships on March 11 and 12 in Otterburne, MB.